Just like some of our lives, our fridges are also a mess (just kidding). 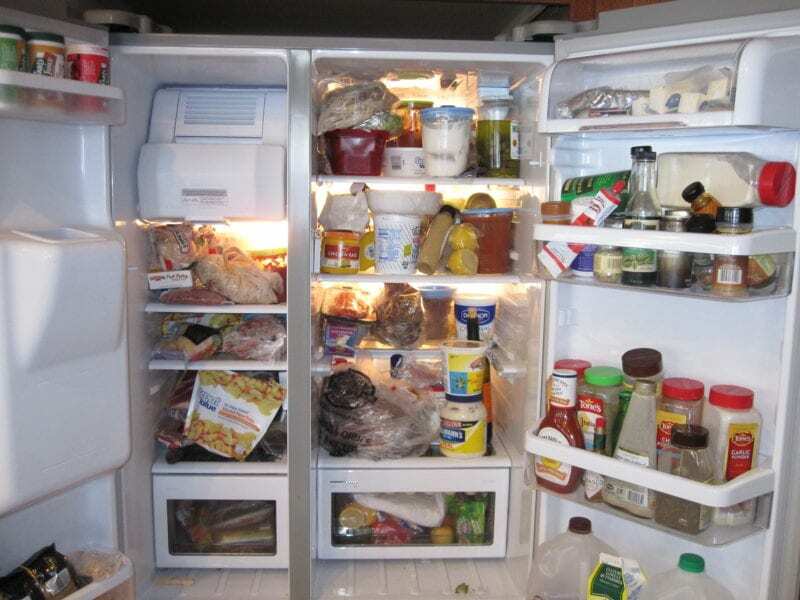 But seriously, when it comes to organizing our fridge, most of us don’t have a clue. What shelf do we put milk on? When do we need to go food shopping? How long do certain foods last. Don’t worry; we’re here to save the day. 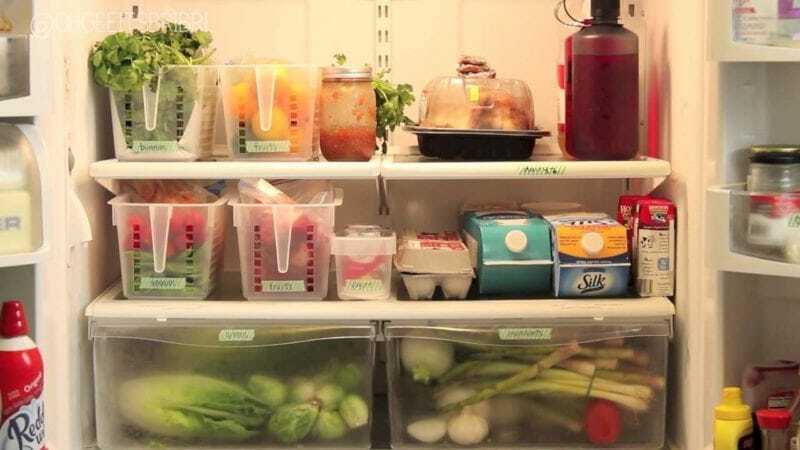 Here’s the right way to organize your messy fridge. Whether you take your supermarket shop once a week, twice a week or once a fortnight, it’s important to note that some foods are more perishable than others – this means you may have to take another trip to the store. Fruits and vegetables, meat and fish, will all lose their nutrients the longer they are kept – so try and eat them as soon as you can. If you can, keep them in your eyesight, so you don’t forget about them. Products like milk, cheese, butter, and cream will all go off and could potentially make you ill if you keep it past its sell-by-date. So check your milk is in date before you make your 16th coffee of the day. You can also do the ‘smell test’ with dairy products, to make sure they’re still safe to eat or drink. If it smells sour, it’s probably off! The best place to keep your dairy products is in the coldest place in the fridge – normally at the back and on the bottom shelf. Many people have different ideas on the best place to keep your fruits and veg. Do you even need to keep it in the fridge? Do you need to keep it all together? Well, there are two answers. 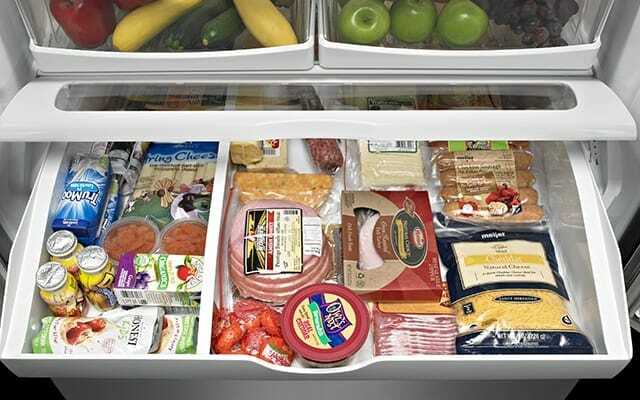 Researchers have shown that it is best to keep all of your fresh vegetables in a high humidity environment – normally in the bottom drawer of your fridge (most fridges have a designated area). But when it comes to fruits, they last longer in a low humidity environment (often called the ‘crisper’ drawer). If you’re buying fresh fish, it is advisable to eat it on the day you buy it. But in some cases, this isn’t possible. So if you know your fish is going to have to wait until the next day or so, remove the store packaging and place it on a plate, wipe it with a damp and clean cloth, and cover the fish with cling film. Then store it at the bottom of the fridge. It is best to keep your meat altogether at the top of the fridge. When you get back from the store, it is important that you place your meat in the fridge straight away. You can either keep it in its original packaging or replicate what you did with the fish – and place it on a plate and cover it. But always ensure raw meat is kept away from cooked meat or any other cooked food. It may be that your fridge is messy because you have produce that doesn’t need to be in there. 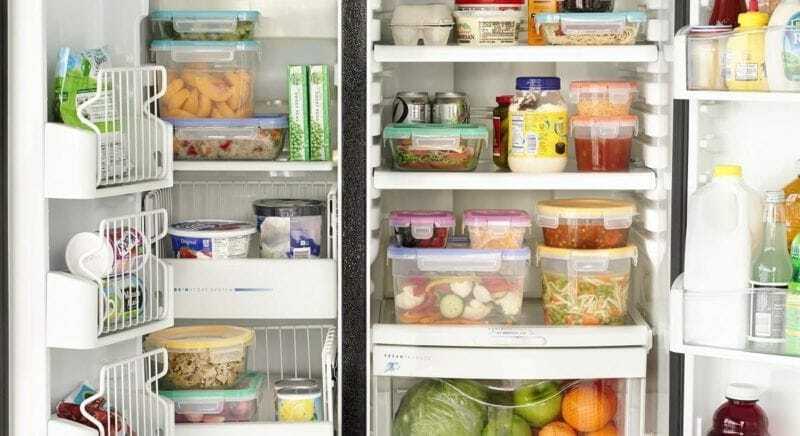 Many foods are better kept at room temperature and will spoil quicker in the fridge. Onions and root vegetables, tomatoes, avocados, potatoes, bananas and most fruit (except berries) will last longer when stored outside of the fridge.